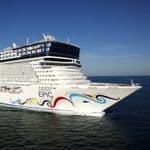 Cruising has worked hard to throw off its fuddy-duddy image, helped along by innovations like Norwegian Cruise Line’s ‘freestyle’ options. It ditched the stuffy formal atmosphere and replaced it with martini tastings, an ice bar, ultra-modern spa and climbing wall. Solo travellers even get their own exclusive section on one ship. 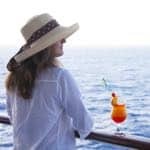 A few years ago, the idea of going on a cruise if you were single and under 50 years of age was almost laughable – unless you had pots of money and enjoyed formality. Enter Norwegian Cruise Line’s ‘Freestyle Cruising’ on all their ships and, on Norwegian Epic, cabins exclusively for solo travellers. Across NCL’s entire fleet, the relaxed and informal on-board ambience means it’s easy to make new friends and you can join in fun activities from wine tasting to art auctions if you fancy it. The unique Freestyle Dining means that there is no formal seating – you have the flexibility to dine in a wide choice of restaurants from black-tie gala nights to a sushi bar, when and where you choose. You can join others or dine on your own if you prefer. 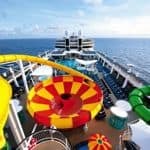 On Norwegian Epic, singles cruises are taken to a whole new level with a cool private complex for solo travellers only. Here you will find the unique Studio staterooms, designed and priced expressly for solo travellers. They are compact but funky, comfortable and there’s no single supplement. You can also enjoy access to the exclusive Studio Lounge where you can meet fellow single cruisers over coffee or cocktails or simply relax on your own. Each Studio has a queen size bed, a one-way window (with blind) to the corridor and separate areas for the toilet, sink and shower. On board facilities are nothing short of astonishing from the state-of-the-art spa to water slides, a climbing wall, an ice bar, Las Vegas-style entertainment and martini tastings. Choose from summer cruises in the Mediterranean and the Caribbean for winter sun. Check out our latest Norwegian Cruise Line deals and other cruise deals for solo travellers.